Singer Elton John arrives at the 21st Annual Elton John AIDS Foundation's Oscar Viewing Party on February 24, 2013 in Los Angeles, California. 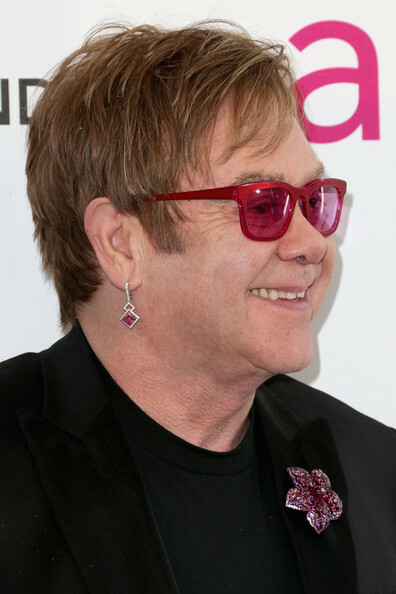 Elton John has never been one to shy away from jewels like these pink drop earrings, which he wore to his Oscar-viewing party. To top off his Oscar-night look, Sir Elton John opted for a floral rubellite brooch with pink sapphires, rubies and diamonds.